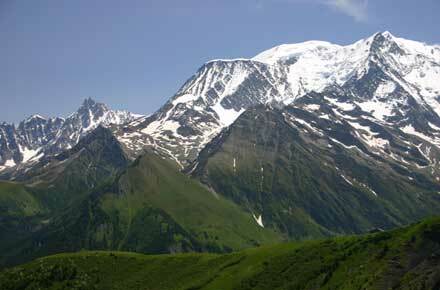 A fine day walk to Mont Joly, the high point of the first ridge to the west of Mont Blanc. 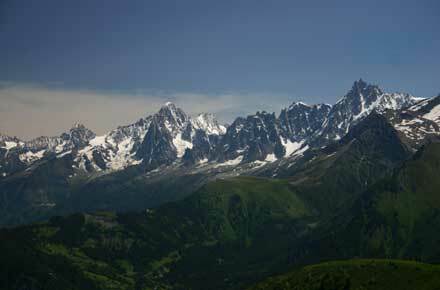 An interesting ascent through natural forest, flower-filled meadows, past old farmsteads, takes you to the high ridge, with its astounding views of the Mont Blanc massif. 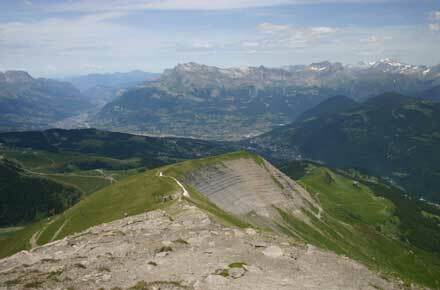 A demanding scramble gets you to the peak, which enjoys glorious 360˚ views. 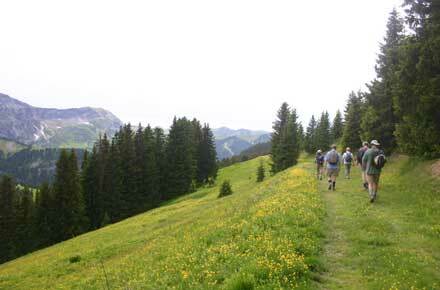 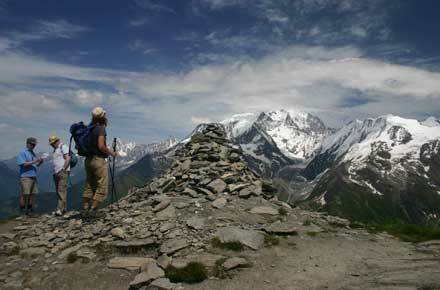 A fine walk to the best view onto the western flank of the Mont Blanc massif. 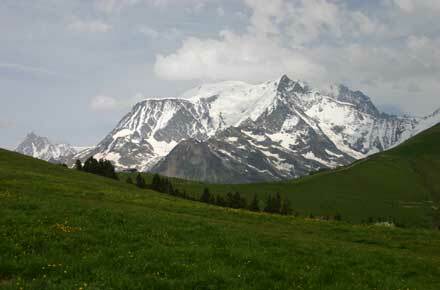 Start at the roadhead at the hamlet of Le Planay (circa 1,400m). 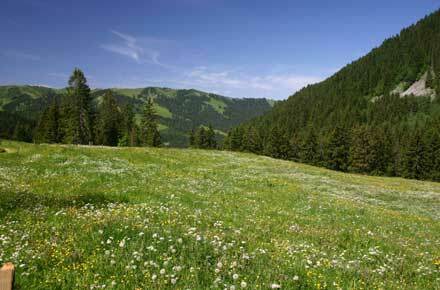 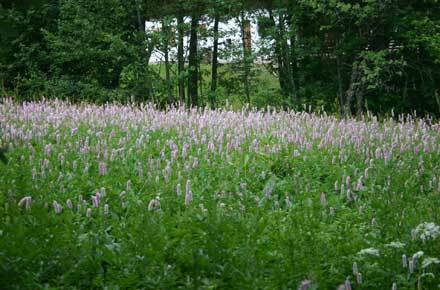 The well-marked trail climbs steadily (but fairly steeply) through beautiful meadows and natural mixed forest, below cliffs and high ridges. 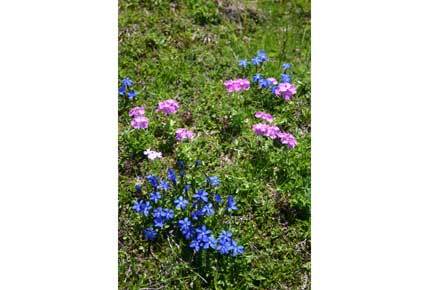 At the right time of year, you will enjoy a miraculous selection of alpine flowers, including perfect gentians and cluster-headed little orchids. 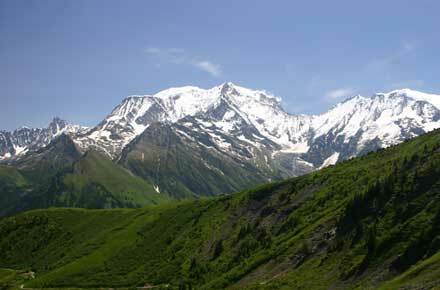 Your arrival at the ridge will extract a gasp, as the great agglomeration of snowfields, glaciers and vast cliff-faces appears above the grassy ridge-top. 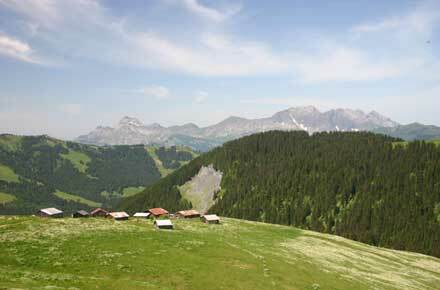 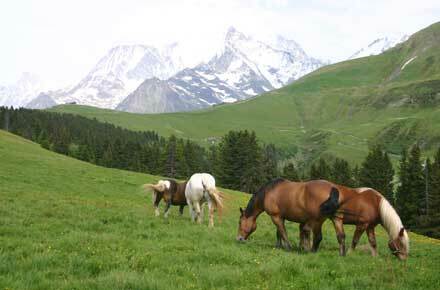 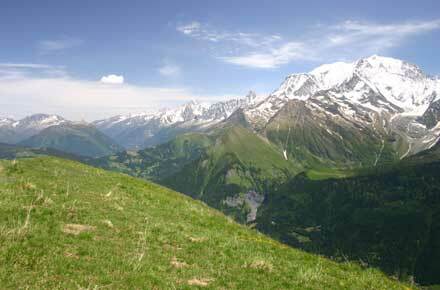 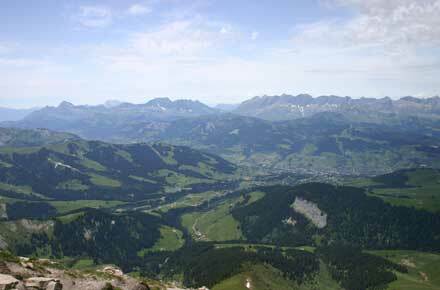 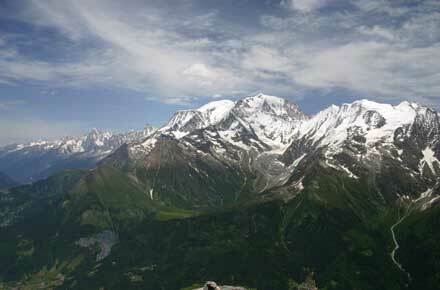 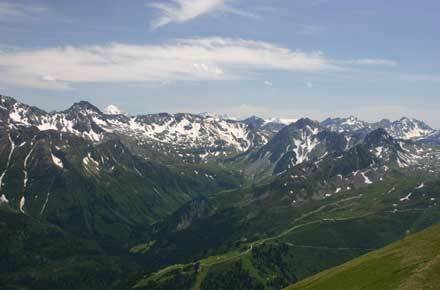 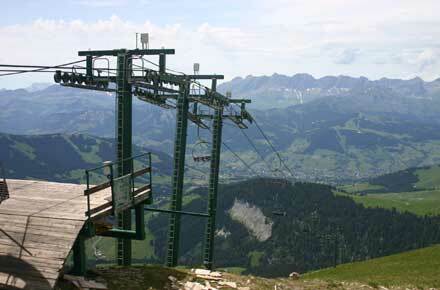 A strenuous climb takes you to the high ridge and the marvels of the all-round view from the pyramidal Mont Joly. 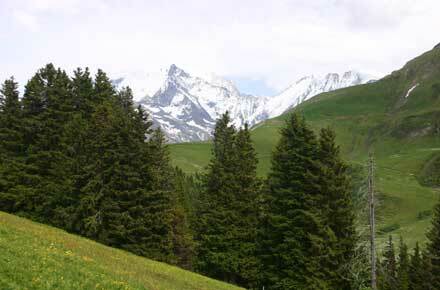 You can retrace your steps or, if you have two cars, circle round to descend the next ridge to the north of your ascent, to the roadhead at Le Planellet.